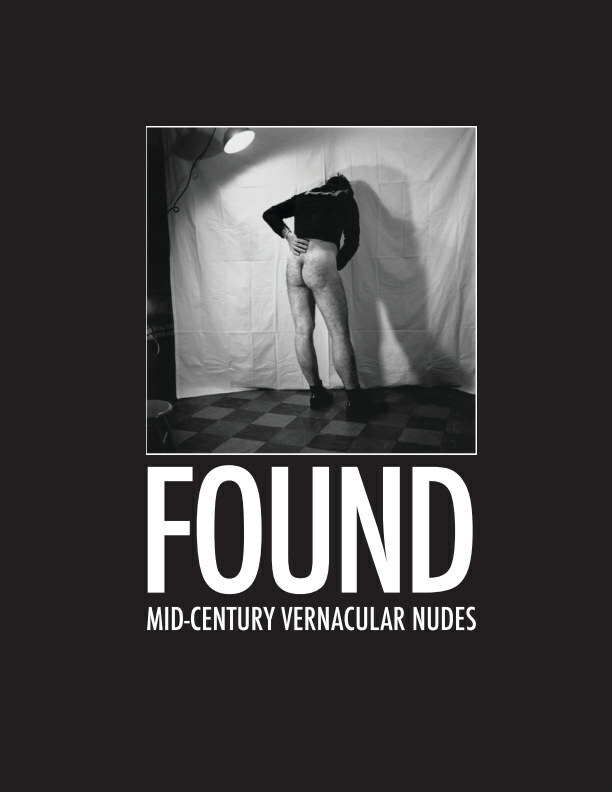 The male nudes in this book appear to be post-Second World War servicemen. Whether they are lovers, shipmates, or just simply guys on the loose, we will never know. The poses range from coy and earnest to all-out ballsy, but there is a kind of innocence seen throughout that is hard to find in today’s primped and pumped naked poseurs. While the word shy hardly comes to mind, there is a certain sweetness in their flagrant posing. They are ordinary men in simple settings, photographed without artistic intent. (In photography, the term “vernacular” literally means “of the commonplace,” which certainly applies here.) The negatives were found in a box under a bed in the mid-eighties after the original owner, and maybe photographer, had deceased.